This book covers both the mathematics of inverse problems and optical systems design, and includes a review of the mathematical methods and Fourier optics. The first part of the book deals with the mathematical tools in detail with minimal assumption about prior knowledge on the part of the reader. The second part of the book discusses concepts in optics, particularly propagation of optical waves and coherence properties of optical fields that form the basis of the computational models used for image recovery. The third part provides a discussion of specific imaging systems that illustrate the power of the hybrid computational imaging model in enhancing imaging performance. 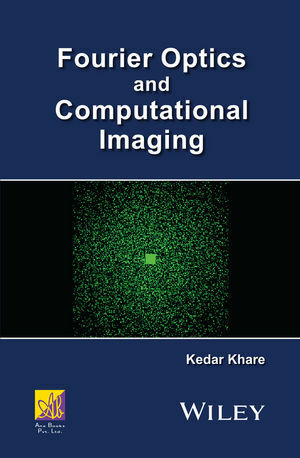 A number of exercises are provided for readers to develop further understanding of computational imaging. While the focus of the book is largely on optical imaging systems, the key concepts are discussed in a fairly general manner so as to provide useful background for understanding the mechanisms of a diverse range of imaging modalities. Dr. Khare is currently an Assistant Professor in the Department of Physics at IIT Delhi, India. He received his Ph.D. in Optics from the Institute of Optics, University of Rochester, USA in 2004. He has held positions as a Research Associate at the University of Rochester, USA; and as a Scientist at the General Electric Global Research, NY, USA where he received the Chief Technologist's award for work on Compressive Imaging (2010). ?He has made several original contributions in this area which have been published in the form of journal papers and patents.